Dry hair. We’ve all experienced it at some point in our lives and know what a pain it is to make it look healthy again. And if you grew up in an Indian household, there’s a 100% chance that your mother and grandmother chided you to oil your hair every single day to combat dryness. You may not have listened to them but it will do your dry hair a whole load of good if you heed their advice now. Hair oils – whether coconut, almond, herbal, or any other kind – are natural moisturizing agents that can hydrate your hair and nourish it from within. That they’re so easily available is just another great reason to opt for oil treatment for dry hair. And you’re in luck because I’ve compiled a list of the best hair oils for dry hair available in the market right now! 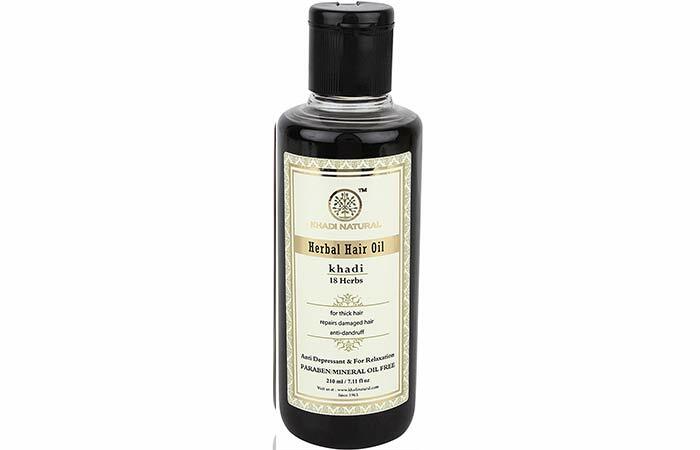 Khadi Naturals Herbal Hair Oil is the blend of an astounding 18 herbal oils that combat a ton of hair problems. While mint, camphor, and eucalyptus oils relieve stress and protect your hair from environmental damage, herbs like amla, bhringraj, and neem moisturize and deep condition it. This is the best hair oil for dry hair as it works especially well on chemically treated and overexposed hair. 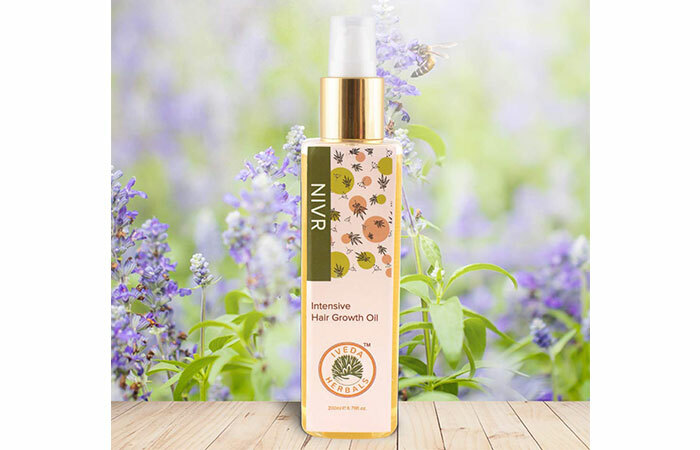 Nivr Intensive Hair Growth Oil contains a formulation of 6 potent herbs: Neeli, Amla, Bhringraj, Aloe Vera, Mint Oil, and Jojoba Oil. It helps tackle hair damage, hair breakage, and scalp dryness, along with many other hair issues. Nivr reduces hair damage and hair breakage caused by urban lifestyles, digital exposure, UV rays, pollution, and lack of a proper diet. It heals scalp dryness and fights any allergies and infections that damage your hair. 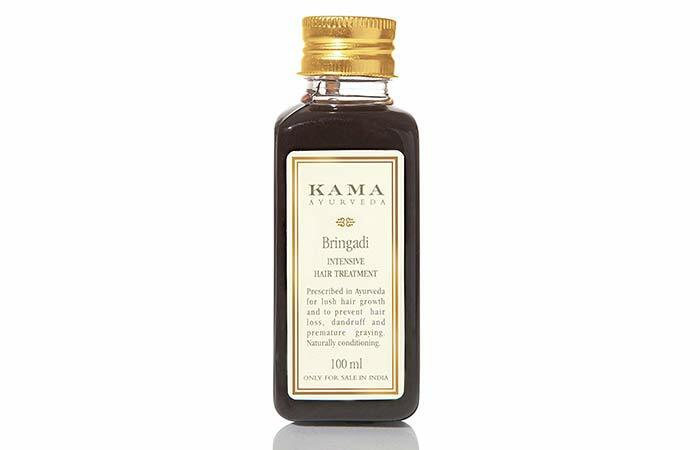 Kama Ayurveda Bringadi Intensive Hair Treatment claims to be the secret to Indians’ lush, glossy hair and makes a strong case for it. This Ayurvedic product contains a potent herbs blended into sesame oil and milk. It contains indigo, false daisy, gooseberry, licorice, and balloon vine that deep condition your dry hair while promoting hair growth and preventing scalp infections. This makes it arguably the best oil for dry hair. 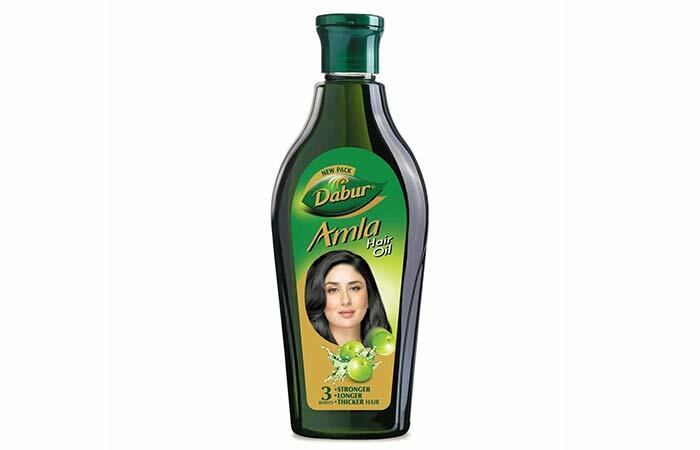 If your hair is dull and graying along with being dry, then Dabur Amla Hair Oil is going to be your best friend. This nourishing hair oil extracted from Indian gooseberries claims to moisturize your hair and scalp, promote hair growth, and control premature graying of hair. 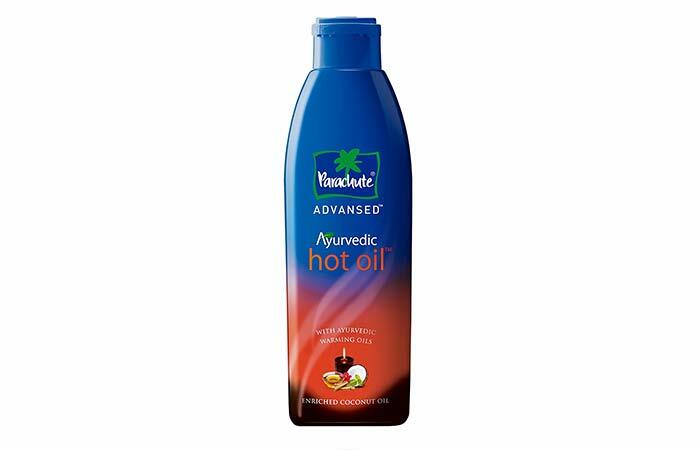 Trust in the healing effects of Ayurveda and try out Parachute Advansed Ayurvedic Hot Oil to treat your dry hair. Its coconut oil base is infused with Ayurvedic warming oil like black pepper oil, white thyme oil, black oil, and hibiscus extracts that blend together to hydrate your hair, stimulate hair growth, and deep condition it from within. 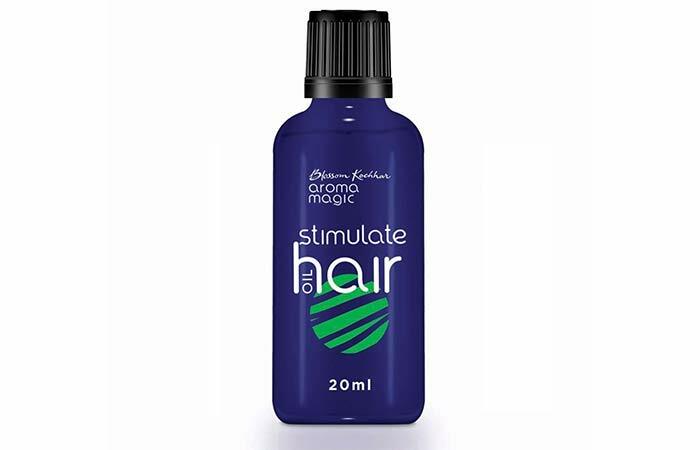 Blossom Kochhar Aroma Magic Stimulate Hair Oil is a blend of ylang ylang, cedarwood, and rosemary essential oils. And the benefits of essential oils for dry hair are astounding! It primarily aims to combat dry hair and hair fall and – as its name suggests – stimulate new hair growth. It is the best hair oil for dry scalp as it claims to reduce itchiness and dandruff on your scalp. If there’s one name that is synonymous with hair care products then it has to be Shahnaz Husain. 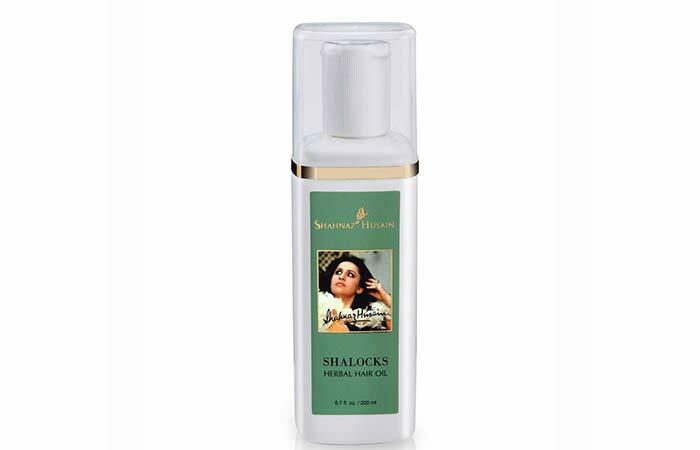 Shahnaz Husain’s Shalocks Herbal Hair Oil is an Ayurvedic blend of olive, sesame seed, wheatgerm, and almond oils combined with extracts of shikakai, brahmi, henna, and amla. It promises to moisturize dry hair while preventing dandruff and promoting hair growth. 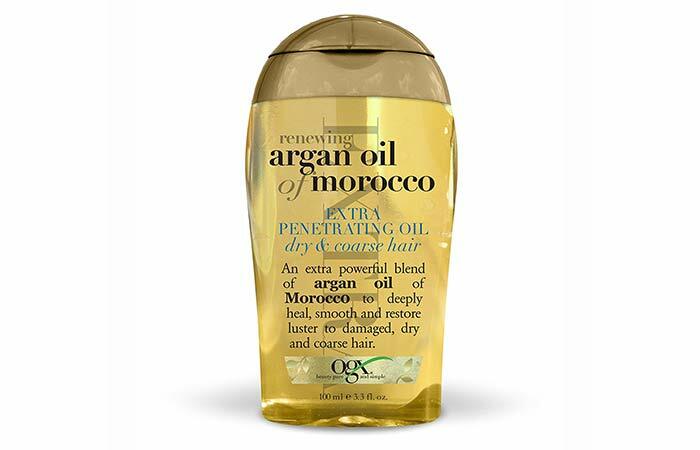 The Organix Renewing Argan Oil Of Morocco Extra Penetrating Oil (now that’s a mouthful) is a potent formula made especially for dry, coarse hair. This argan oil blend promises to penetrate your dry hair and moisturize, renew, and soften it while protecting it from the heat generated from styling tools and UV damage. 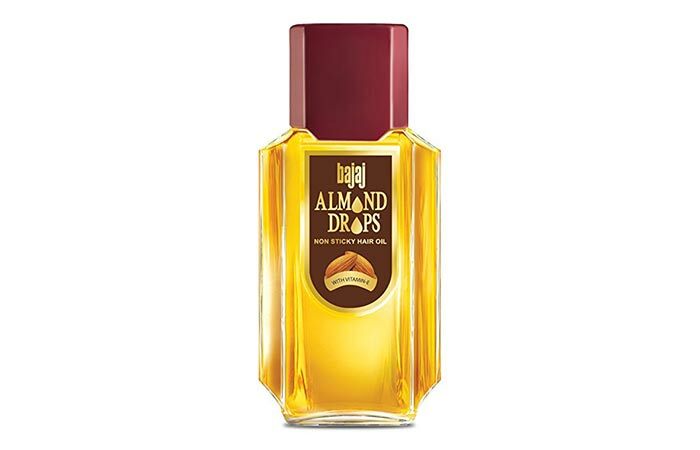 If the thought of walking around with slicked down, oily hair does not appeal to you, then you should check out Bajaj Almond Drops Hair Oil. Since it’s a sweet almond oil, it contains vitamin E that not only hydrates your hair but also helps you retain that moisture. This light hair oil is also not sticky and makes your hair look healthy and shiny. A common problem that people with dry hair experience is dandruff. And Garnier Ultra Doux Nourishing Hair Oil claims to shoot both those birds with one gun. This blend of coconut, wheatgerm, and almond oils combats dryness, and nourishes and softens it from within. 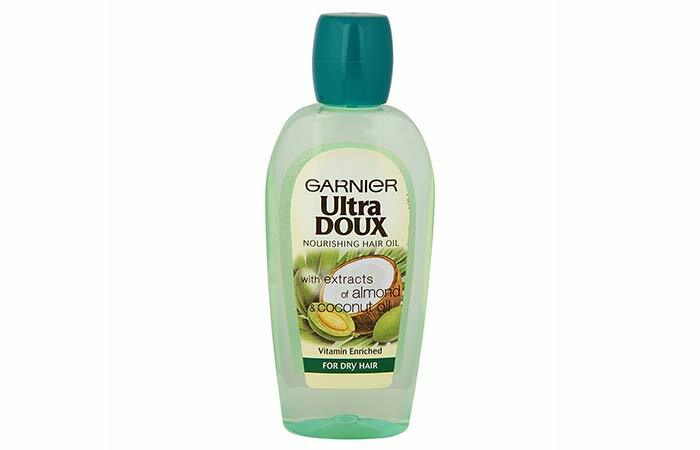 It also contains an active purifying agent that gets rid of dandruff with regular use. 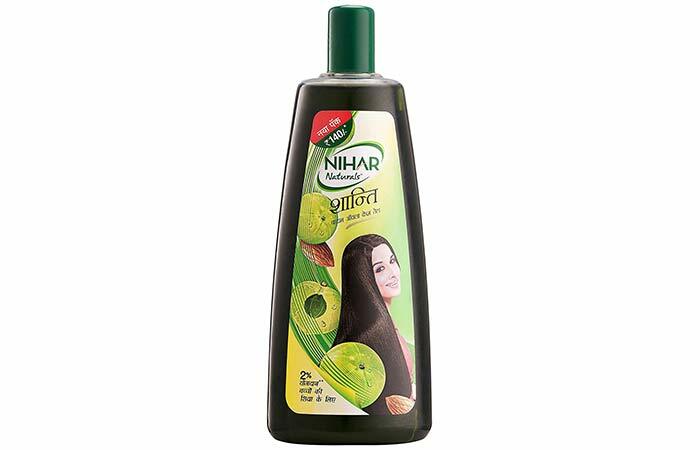 Nihar Naturals Shanti Badam Amla Hair Oil is a blend of coconut, almond, and gooseberry oils. Not only does it claim to hydrate your dry hair, strengthen your hair follicles, and reduce dandruff and graying, but also claims to do so while providing a cooling sensation on your head. And that’s all folks! That’s my rundown of the best hair oils for dry hair! Say goodbye to your dry hair woes now and comment below to let us know which hair oil you picked out for yourself! Is coconut oil good for dry and damaged hair? Yes, coconut oil is excellent for repairing dry and damaged hair. 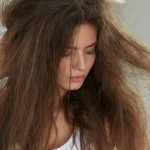 Should I apply hair oil if I have dandruff? Yes, you can apply coconut oil, olive oil or tea tree oil to remove dandruff. Just make sure to apply a low to moderate amount of oil otherwise it may create buildup on your scalp and increase dandruff. Can you use hair oil and hair serum together? It is best not to use hair oil and hair serum together as they can create too much buildup on your scalp. 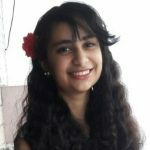 Is it OK to apply oil after bath on wet hair? It is OK to apply oil after a bath as long as you don’t mind having oily hair throughout the day. What oils repair damaged hair? Coconut oil and argan oil repair damaged hair most effectively. Many people believe that they can skip on using a hair conditioner because it’s not an essential part of their hair care routine. But that could not be further from the truth. Here's a list of the 15 best hair conditioners in the Indian market right now that you need to check out. The idea of oiling your hair twice a week seems old school, right? Wrong! Turns out, your mom was right to slather oil on your hair regularly. Oiling is the best way to pamper your hair. It gives your hair the essential nutrients and proteins it needs to become stronger and shinier. Winter is here! And so is dry and damaged hair. Repairing dry and damaged hair starts with a good shampoo. Here is a list of 15 best shampoos for dry and damaged hair. Check out the reviews and pick the one that suits you the best. Rescue your hair with best products! Now stop pondering about best hair oils in your budget. Here's a compiled list of 10 best budget hair oils available in India.